CURRENTLY READING Are Your Farts Normal? 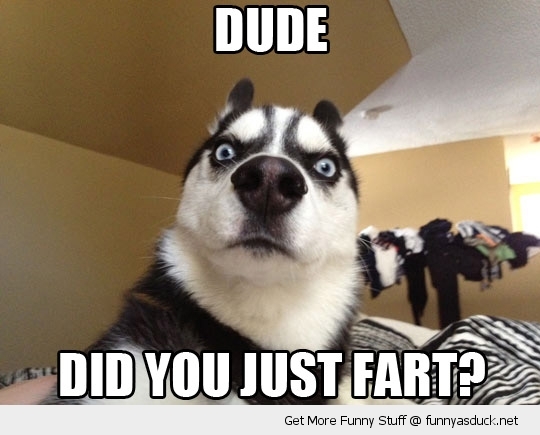 From silent but deadly to letting it rip (and blaming the dog), farts are a part of everyday life. However, gas is usually only a hot topic for middle school boys (and even then, it's pretty much limited to armpit flatulence), so it’s no surprise that the facts on farts get lost behind the jokes. Time to clear the (smelly) air! We’re literally farting around all day long. A healthy person passes gas an average of 13 to 21 times per day, but there could be a problem if it’s significantly higher than that. Burping, bloating, and abdominal discomfort can also indicate that a little too much air has made its way inside the gastrointestinal (GI) tract. Hold on to your shorts, folks, because this is a quite a long list. From everyday occurrences to severe disease, plenty of things can lead to extra air in the plumbing. Gas is a combination of air introduced into the GI tract from outside your body (i.e., room air) and various chemical gases produced by bacteria in the colon Contributions of the microbial hydrogen economy to colonic homeostasis. Carbonero, F., Benefiel, A. C., & Gaskins, H. R. Nature Reviews. Gastroenterology & Hepatology, 2012; 9:504-518. . The way gas gets inside can contribute to how smelly or loud passing it will be. Thankfully, the kind of gas that comes from swallowed air, carbonated beverages, etc., isn’t all that odiferous. It’s mainly a mix of carbon dioxide, hydrogen, and nitrogen, none of which has a particular smell. But these are the farts that can break the sound barrier if a large amount of air gets swallowed. While the gas made by bacteria isn’t quite as voluminous, it can make for quite the stink bomb. Certain bacteria make gases containing sulfur, a stinky chemical that’s also given off by rotting eggs. There are a bunch of things that can lead to extra gas buildup. We’ll start with the relatively normal causes of gas and work our way to the more severe. 1. Normal: swallowed air. Gulp! Eating too fast, chewing gum, smoking, drinking carbonated beverages, and drinking through a straw can all introduce gas into the GI tract. 3. Normal: eating certain foods. Some foods (“beans, beans, the magical fruit…”) are notorious for causing gas—ever wonder why? When the human digestive system can’t break down a particular food, the nutrients pass into the colon where they become chow for good bacteria. A byproduct of bacterial digestion? You guessed it—gas. The type of food consumed and the kinds of bacteria present in an individual’s colon will determine how much gas is produced and how smelly it is. 5. Normal: artificial sweeteners. Ever try to down a whole package of sugar-free candy? Yeah, we wouldn’t recommend it. Certain artificial sweeteners such as sorbitol, xylitol, and mannitol can (when consumed in excessive amounts) cause gas and diarrhea in healthy people Effects of an osmotically active agent on colonic transit. Skoog, S. M., Bharucha, A. E., Camilleri, M. et al. Neurogastroenterology and Motility: The Official Journal of the European Gastrointestinal Motility Society, 2006; 18:300-306. . These sweeteners are often used in gum, which makes gum-chewing a gas double-whammy. 6. Normal: food intolerances. This one’s a bit of a gray area. While most people are somewhat intolerant to particular foods like beans (see No. 3 above), some people lack the digestive enzymes necessary to break down a particular food. For example, someone who is lactose intolerant doesn’t have the enzyme that breaks down lactose, a sugar found in milk products. Instead of being digested and absorbed in the small intestine (as it is in other individuals), lactose makes its way into the colon, where those hungry little bacteria make a feast of it with very gassy results. 7. Call the doc: irritable bowel syndrome (IBS). Here’s one instance where an apple a day doesn’t keep the doctor away (more on that later). IBS is a “functional bowel disorder,” meaning that the digestive system isn’t working quite right. People with this disorder don’t absorb certain carbohydrates properly, so their gut bacteria go into overdrive gobbling up the excess, and the result is all kinds of digestive woes. Not-so-fun symptoms include constipation, diarrhea, painful bloating, stomach cramps, and gas. Nobody really knows what causes IBS, but as many as 20 percent of adults in industrialized countries may have it Treatment of irritable bowel syndrome with probiotics. an etiopathogenic approach at last? Bixquert Jimenez, M. Revista Espanola De Enfermedades Digestivas: Organo Oficial De La Sociedad Espanola De Patologia Digestiva, 2009; 101:553-564. .
8. Call the doc: small intestinal bacterial overgrowth (SIBO). This icky condition has been found in some IBS patients, and it’s exactly what it sounds like—out-of-control bacteria growing in the small intestine Nutritional consequences of intestinal bacterial overgrowth. Saltzman, J. R., & Russell, R. M. Comprehensive Therapy, 1994; 20:523-530. . Gas is just one consequence of these over-enthusiastic bacteria; flu-like symptoms can set in as well. 9. Call the doc: celiac disease. Yes, eating gluten-free has been debated as the diet du jour, but people with celiac disease can’t (no, we mean really can’t) eat any gluten, even a trace amount. If a person with celiac eats even a tiny amount of this particular protein, his or her immune system will mount an all-out attack on the small intestine and significantly hurt its ability to absorb nutrients. Gas can happen as a result (you know the story by now…poor absorption = bacteria food), but farts are small fries compared to some of the truly serious symptoms and conditions that can develop, like anemia and other autoimmune conditions. 10. Call the doc: inflammatory bowel disease (IBD). Not to be confused with IBS, IBD is a pretty serious condition. It comes in two forms: Crohn’s disease and ulcerative colitis. While we won’t get into the distinction between the two here, suffice it to say that both are chronic autoimmune disease involving the GI tract, and both can cause lots of GI issues, from gas to bleeding. Some patients even complain of strange-smelling farts during an IBD flare-up Role of faecal gas analysis for the diagnosis of IBD. Probert, C. S. Biochemical Society Transactions, 2011; 39:1079-1080. .
11. Call the doc: other medical problems and diseases. Apart from those listed above, there are a number of other medical issues that can cause gas and bloating. While gas may seem like a relatively minor concern, it can be a symptom of serious things like intestinal blockage, diverticular disease, even cancer Diverticular disease--the rules of management. Augustyn, M., & Grys, I. Polski Merkuriusz Lekarski: Organ Polskiego Towarzystwa Lekarskiego, 2009; 26:559-561. . However, these conditions usually come with a longer list of signs and symptoms, so don’t panic if you’ve got a particularly bad case of the farts. 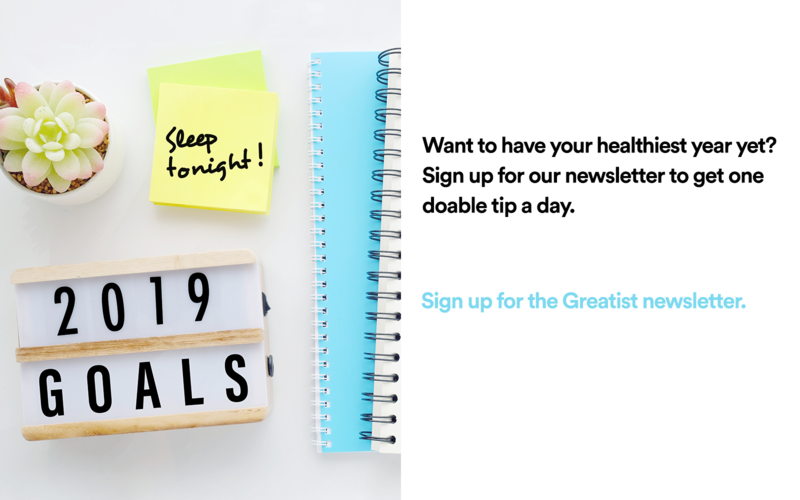 Depending on what’s causing the extra gas, there are a number of prevention strategies and treatments that can tame the toots and banish bloat. Note: You’re still gonna be stepping on a duck several times throughout the day, so the list below isn’t a “cure” for the farts. 2. Move it along. There’s no research to suggest that busting a move will also bring more gas to your gut. But studies do suggest that light exercise can clear the air out of the GI tract faster Effects of physical activity on intestinal gas transit and evacuation in healthy subjects. Dainese, R., Serra, J., Azpiroz, F. et al. The American Journal of Medicine, 2004; 116:536-539. . Yes, exercise can give you flat abs in more ways than one. 3. Eliminate excess air. Swallow a bunch of air? It has to come out one way or another. The best way to minimize this sort of gas is to minimize the extra air that’s getting inside. This can be done by chewing food thoroughly, slowing down at mealtimes, limiting gum-chewing, and avoiding drinking from straws. 4. Strat-EAT-gize. Here’s where a little bit of mealtime strategy comes in handy. There are a couple of things that can help to reduce the gas-causing power of certain foods. For example, with beans, preparation is key. Dried beans that are soaked, cooked, and drained have significantly less of the gas-causing carbs than beans from a can Nutritional and health benefits of dried beans. Messina, V. The American Journal of Clinical Nutrition, 2014; 100:437S-442S. . Playing with portion size can also help. Foods like cabbage, cauliflower, raisins, artichokes, and Brussels sprouts (to list just a few) are known offenders, but keeping portion sizes in check can also keep bloat to a minimum. Gradually increasing the serving size and amounts of fiber-ific foods can help as well. Everyone’s different, however, so keeping a food and symptom journal can help to identify individual trigger foods. 5. Get low (with FODMAPs). What the heck is a FODMAP? It's an acronym that stands for “Fermentable Oligosaccharides, Disaccharides, Monosaccharides and Polyols” (say that three times fast!). They’re certain types of carbohydrates (like fructose, the primary sugar found in apples) that may be poorly absorbed in the small intestine, especially in people with IBS. Eating a diet low in FODMAPS can help to reduce production of gas, which can help minimize the symptoms of IBS Manipulation of dietary short chain carbohydrates alters the pattern of gas production and genesis of symptoms in irritable bowel syndrome. Ong, D. K., Mitchell, S. B., Barrett, J. S. et al. Journal of Gastroenterology and Hepatology, 2010; 25:1366-1373. . See a registered dietitian (RD) for more info on how to nail a low-FODMAPs and/or a FODMAPs elimination diet. 6. Eliminate. It’s not usually a great idea to cut out foods entirely (apart from things like artificial sweeteners, which aren’t really food), but in some cases it’s medically necessary. The FODMAPs diet described above has an elimination phase, but over time the diet gradually reintroduces FODMAP-containing foods to determine what a person’s digestive system can tolerate. With diseases like celiac, however, there’s no getting around the need to eliminate gluten. Wheat, barley, and rye are all strictly off-limits. But talk to your doc or RD before giving a particular food the axe. 7. Microbe makeover. A lot of digestive problems can stem from an out-of-whack population of bacteria in the digestive tract. Certain “good” bacteria (like those found in kefir, kombucha, and kimchi) can actually benefit digestion, while others can seriously mess it up. Taking prebiotics, probiotics, or even antibiotics can help restore a healthy balance. Prebiotics are essentially fuel for the good bacteria in the colon, while probiotics are supplements that contain strains of these beneficial bugs in tablets or capsules Gastrointestinal effects of prebiotics. Cummings, J. H., & Macfarlane, G. T. The British Journal of Nutrition, 2002; 87 Suppl 2:S145-51. . There’s been some recent research suggesting that rifaximin, a particular type of antibiotic, may help to relieve chronic gas, too A randomized double-blind placebo-controlled trial of rifaximin in patients with abdominal bloating and flatulence. Sharara, A. I., Aoun, E., Abdul-Baki, H. et al. The American Journal of Gastroenterology, 2006; 101:326-333. .
8. OTC me! Some over-the-counter treatments may actually help to treat gas and bloating. Lactose (the enzyme found in Lactaid) is great for those lactose-intolerant folks because it acts to digest milk sugars. Beano contains the enzyme alpha-galactosidase, which can help break down some non-digestible carbohydrates (like those found in beans). Simethicone-containing products like Gas-X, however, haven’t really shown to be effective in reducing gas Treatment of excessive intestinal gas. Azpiroz, F., & Serra, J. Current Treatment Options in Gastroenterology, 2004; 7:299-305. . These products may help to break up gas bubbles, but the jury’s still out as to whether they actually decrease gas and bloating. 9. Go to the pros. If excess gas, bloating, and/or abdominal pain are a constant problem, and no triggers or causes are apparent, it’s time to see your doctor. Depending on your condition, he or she may recommend tests to rule out some of the conditions mentioned above. Or your doc could refer you to a registered dietitian. 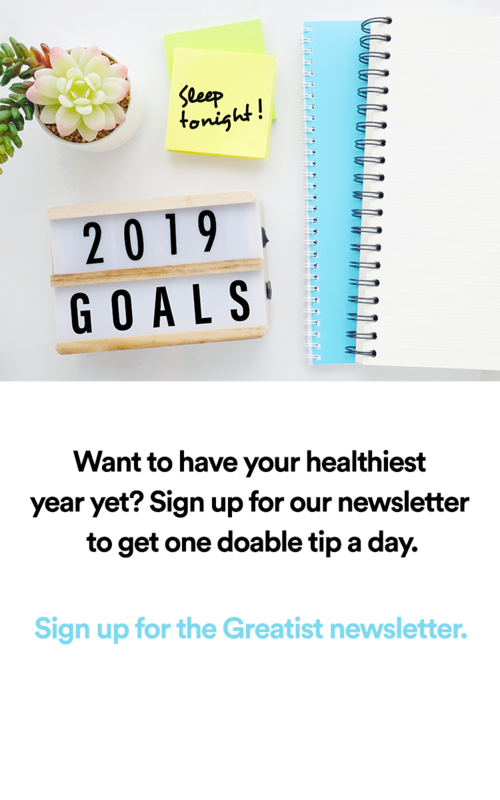 One of these nutrition pros can help you figure out how and what to eat to minimize gas symptoms and to maximize nutrition. From everyday occurrences like chewing to life-threatening conditions, a ton of things cause gas. Depending on the reason behind the bloat, there are actually a number of practical solutions to minimize gas or discomfort. Food choices can be a big trigger due to the complex interactions between you, your food, and the bacterial tenants of your gut. However, scientists are still working out many of the details of just how this works. Stay tuned for the latest research. Most of all, you can take comfort that most gas is 100 percent normal. Farting is the human condition, and that’s no joke.